Reese Plumbing is a licensed and bonded plumbing service based in San Clemente offering full residential and commercial plumbing services. We pride ourselves on providing fast, reliable, and honest service throughout Southern California. We do not provide a window of time in which we’ll arrive at your house. If you call us, we’ll tell you when we’ll be there and you can set your clock by our service. Give us a call to see the service difference of Reese Plumbing. Our business is our livelihood but it is also so much more. Golden State Plumbing & Drain Company was started to fill in a void in the current market and to make a business that people can place their trust in. Over the years we have never lost our commitment to our clients and that is what has allowed us to succeed in a very competitive industry. The employees of Golden State Plumbing & Drain Company stand committed to our purpose and will provide the best service! Family owned and operated. My father has been a plumber for 50 years and has been my mentor. We have the most interest in our customers review. We at Large Plumbing know what it means to be a homeowner and understand the hard-work it took to get it. Unlike our franchise competitors, we offer a unique and personable approach and do our best to respect the home you've built. We offer a money-back guarantee on all of our services to ensure that you are satisfied with our quality of work and professionalism. All of our work is also backed with a 1 year warranty on all products and services. Whether it's a shower leak in your apartment, or an entire building's plumbing problem; our tech's will always come out to check the problem free of charge. You will be provided with an estimate which you can proceed with immediately or schedule for a different time. We provide commercial and residential services 24 hrs. a day 7 days a week. with no extra after hours, holiday or weekend charge. We've been serving San Diego for more than 10 years. With Reliable Plumbing you can rest assured your plumbing needs will be handled with knowledge and expertise. Plumbing Contractor: Specializing in cutom homes, remodels, and service repair. Lomonaco Coast, incorporated in 2014, with owners Mike and Matt having a combined 28 years experience in the plumbing field. This experience ranges from Custom Homes, Remodels, and Service & Repair throughout Los Angeles and Orange County. You’re doing business with someone you can rely on and trust to show up on time, stand behind their work, and leave your home clean and in better shape than when we found it. At Lomonaco Coast we know how imperative it is to have reliable service. We won’t send anyone into your home, that we wouldn’t trust in our own home. Lomonaco Coast is fully licensed, bonded, and insured. 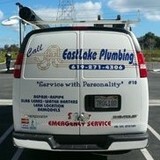 At Lomonaco Coast we specialize in Plumbing & Customer Service in San Clemente, CA. 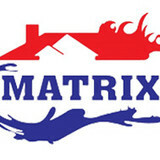 Our goal is to provide high quality services for low affordable prices. We aim to build lasting friendships with our customers. Our Family owned and operated company offers 24 hour Plumbing Emergency Service & Repair, Faucet repair, Shower valve repair, Tub valve repair, Slow or backed-up drains, Drain cleaning, Leak detection, Reroutes, Copper & PEX re-piping, Water Heaters/ Tankless Heaters, Fixture installations, Gas leaks, Slab leaks, Water leaks, Drywall, Heating & Air, Electrical, Masonry, Remodels demo to finish. No job too big or too small. Give us a try and I promise we won’t let you down. Serving all of the Orange County area like family.